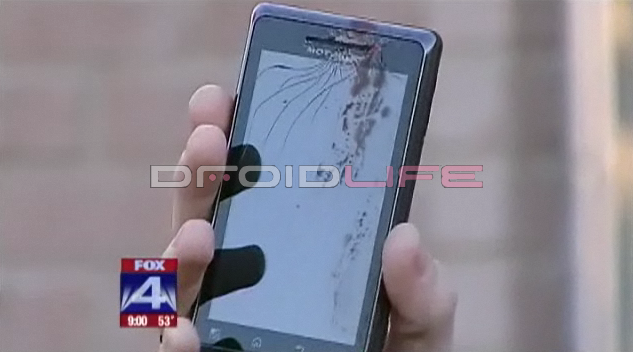 According to reports out of Fox in Dallas, a man and his brand new Droid 2 are no longer friends. After a heated exchange while attempting to get into his car, the D2 decided to ignite its eFuse in order to blow a hole in the side of the man’s head that would require 4 stitches. This man obviously doesn’t read Droid Life or he would have know that the bootloader on these Blur devices isn’t meant to be taken lightly. OK all jokes aside. This guy really believes that his Droid 2 exploded in his ear. Of course we are all questioning the entire story especially since the guy admits to having zero health insurance, called in the local news to cover his story and is hoping that Motorola will help with the medical costs. He’s also already contacted a lawyer. Another McDonald’s hot coffee story in the making? The phone still works though! DROID 1. Man 0. Angry Birds Seasons Day 2 - Post Your High Score!